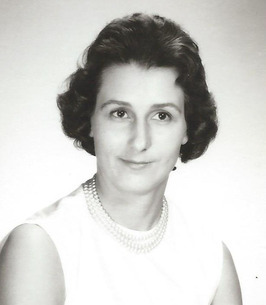 Mary Louise Harlow, age 84, of Williamsburg, Virginia passed away with family by her side on Saturday, January 5, 2019 at Sentara Williamsburg Regional Medical Center. Mary was preceded in death by her mother, Francis Campbell; father, Murrill King; son, James Brooke (Eddie), and an infant son. Mary retired from Eastern State Hospital after 30 years of service. She was a member of Eastern Star, Pocahontas Chapter in Williamsburg. Mary was a member of Calvary Baptist Church in Williamsburg where she graciously served her Lord and Savior. Mary is survived by her loving husband of 61 years, Elmer Harrison “Ham” Harlow; brother, Bill King; sister, Ellen Andrews; brother-in-law, Ronald Harlow and wife Helen; daughter, Sharron Petrick; daughter-in-law, Lynn Brooke; grandchildren, Theresa Oakley and husband Tod, Richard Lipes and wife Holly, Crystal Brooke, and Christian Brooke; and several great grandchildren, nieces, and nephews. Mary also leaves behind her fur babies, Cookie and Ginger, whom she thought of as her children. A funeral service will be held on Thursday, January 10, 2019 at 2:00 PM in the chapel of Nicely Funeral Home with Pastor Bill Hartsfield officiating. Interment will follow in Mountain View Cemetery, Clifton Forge. Pallbearers will be selected from family and friends attending the service. The family will receive friends on Wednesday evening from 6:00 PM until 8:00 PM at Nicely Funeral Home. The family suggests memorial tributes take the form of contributions to the Alleghany Humane Society, 9313 Rich Patch Rd , Covington, VA 24426. To send flowers to the family of Mary Harlow, please visit our Heartfelt Sympathies Store. Provide comfort for the family of Mary Harlow by sending flowers.